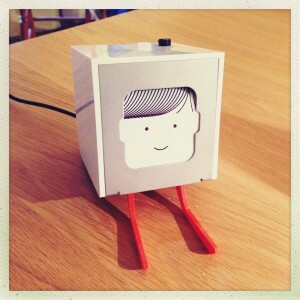 The first batch of Little Printers from BERG started shipping last week, and I got mine a few days ago. He’s all set up on my desk now, and looking very cute. Naturally, one of the first things I did was to take a look at the developer documentation to see how to create a publication myself. It turns out to be pretty straightforward – each publication is simply a page of HTML/CSS with some meta-data held as JSON. The content and meta-data is presented to BERG Cloud as a simple web service, and they use that to distribute your publication to any Little Printers that have subscribed. I have a couple of ideas kicking about for things I’d like to use Little Printer for, but to start with, I figured I’d do something simple. As many of you probably know, I’ve been a fan of Tiny Speck’s MMO Glitch for a very long time now. Sadly, the game formally closed last week, and is no more. I’ve written a bunch of Glitch-related tools over the years, and as a consequence have a fair amount of game-related data cached. I figured this was an opportunity to put it to use. Glitch was well known for it’s high quality artwork, which extended to the individual player’s avatars. The avatars were highly customisable, and players could change both the facial features and the wardrobe, which led to a huge amount of diversity in their appearance. I have copies of the avatar files for rather a lot of players now, so why not show them off to the world. And so, the Daily Glitch was born. This is a Little Printer publication, that each day, showcases a random Glitch from my database. The choice of Glitch is random, and I don’t maintain a history of who has already been shown, so I guess it’s possible that we’ll get a few repeats here and there, but given the number of Glitches I have stored, I suspect that’s not really going to be a problem. If you have a Little Printer and would like to subscribe to the Daily Glitch, you can do that here. 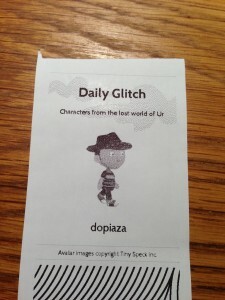 This entry was posted in Development, Glitch, Little Printer on December 15th, 2012 by dopiaza. DPZFlickr v1.2.2 is available on github. This entry was posted in Development, Flickr, Flickr API, PHP, Tools on September 16th, 2012 by dopiaza. App.net broke through their funding target yesterday, and so it seemed appropriate to celebrate with a new library. So, I took my DPZFlickr library, chopped and changed it about a bit, and turned it into DPZAppNet. It all seems to work just fine, but there’s still a fair bit more to do – most notably, support for streams, but I’ll get onto that. In the meantime, you can find it over on github. This entry was posted in Development, PHP, Tools on August 13th, 2012 by dopiaza. Last week, Flickr officially deprecated their old Authentication API and are now only formally supporting the new OAuth authentication flow. I’ve got a number of Flickr apps that need updating, but the PHP library I’ve been using for years seems to no longer be being actively maintained and hasn’t had OAuth support added. So, I decided it was time to bite the bullet and build my own library, from the ground up, that supports the new authentication flow. So, this post is to announce DPZFlickr. It was all put together rather quickly, but it seems to work just fine and so I’m sharing it with the world – I’m sure there are other folk out there who would find it useful. You can find it over on github. All feedback welcome. This entry was posted in Flickr, Flickr API, PHP, Tools on August 4th, 2012 by dopiaza. 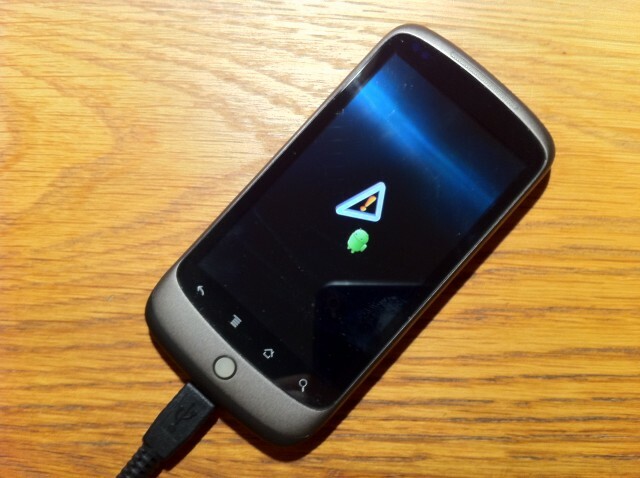 I have a Nexus One phone that I bought to use for development. A little while ago, I installed Android 2.2 on it, only to discover that I could no longer get it talk to the Android SDK. ADB completely failed to recognise the device. It seems I wasn’t the only person with the problem, but there was no sign of a solution. As a development device, it was now effectively useless. Luckily, the development work I had bought it for was now complete, and so the Nexus One sat on a shelf gathering dust for a while. And that’s it. It’s stuck there. It won’t even power down. I didn’t have time last night to deal with it, so I just left it and went out. I guess that’s yet another thing to try to sort out today then. Oh, how I love my Android phone. Update: So, with the help of Google, I figured out how to get out of that particular error screen. Holding down Power and Volume Up eventually gives me a menu which includes an option to reboot. That worked and I’m now back at 2.2, with my phone telling me I’m up to date. I’d still like to try getting 2.2.1 installed to see if that fixes my adb problem, but that particular adventure can wait for another day when I’m less busy. This entry was posted in Android on September 29th, 2010 by dopiaza.